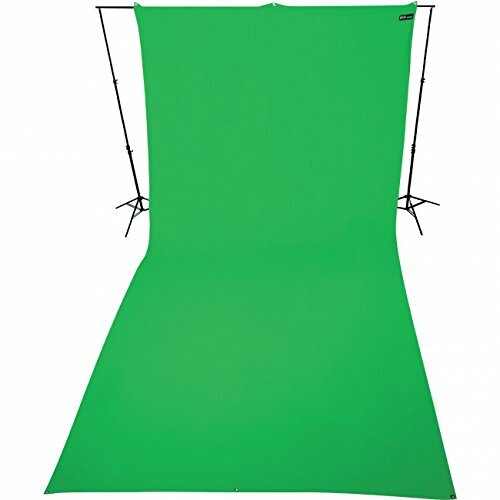 This 9' x 20' wrinkle resistant green screen is a must have for anyone shooting Chroma Key where a background is digitally replaced in post production. The seamless 9' x 20' size is perfect for portraits and groups and can be quickly and easily mounted using the included grommets or 3" pole pocket. The heavy-duty fabric is constructed using a matte finish eliminating any unwanted reflections. The background is machine washable and includes a heavy-duty cloth carry case.